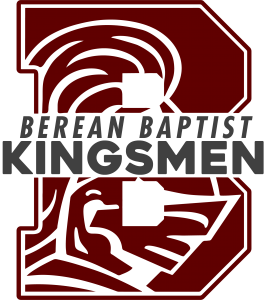 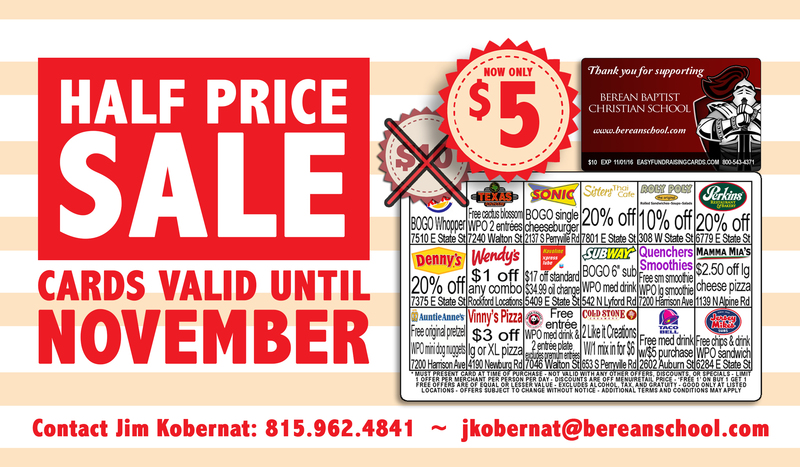 Berean Discount Cards are now Half Off. Only $5 will get you great deals until November! 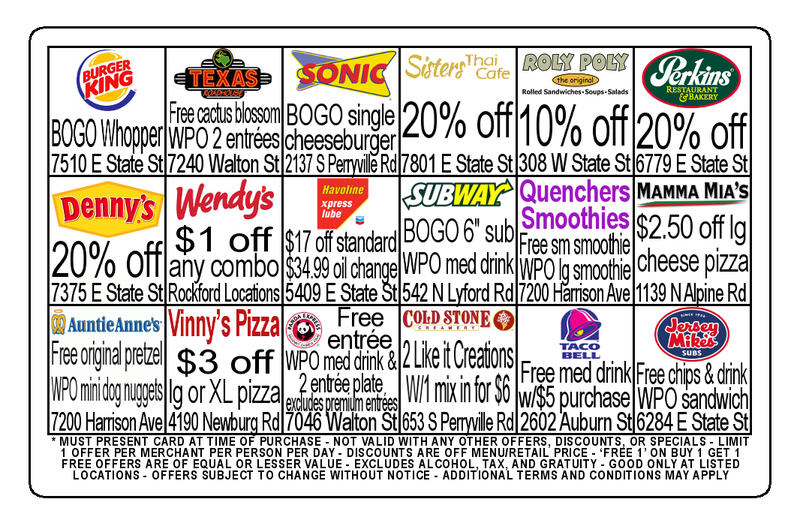 Buy extra and sell or give to Family, Friends, co-workers, strangers, or anyone!